During the years of 1955 to 2005, Dolores coached teams from Monaca, PA; Sylvan Crest, PA; Hookstown, PA; Chester, WV; and East Liverpool (Oakland), OH. She started coaching back when they had jump judges and not electric quiz chairs. Dolores actively coached until October 2007 when a stroke put her in the hospital, but even then she still asked the kids quiz questions when the came to visit. According to daughter Sheila, "The biggest difference quizzing made in her life was knowing the scriptures. She didn't need a concordance; she was it. She enjoyed coaching her own children and grandchildren, and watching kids memorize Bible verses and seeing it change their lives." 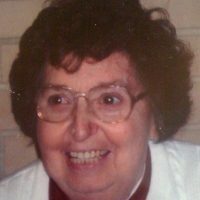 Dolores served as the Pittsburgh Conference Bible Quiz Promoter for several years (about 1975 -1980). Her favorite scripture was Philippians 4:13: "I can do everything through Him who gives me strength." As I think of Dolores Bailes, these words from Psalm 119 come to mind. Having known her since 1983, I can tell you that Dolores had a deep love for God and for His word. She delighted in the Holy Scriptures. Dolores then proceeded to tell me about some of the joys that she had in encouraging teens to study God's word. She started coaching a quiz team around 1956 in Monaca, PA, and then told me: "Ever since then, I have always had a team-except for 1-2 years when I was not coaching." She also coached youth in Hookstown, PA; Chester, WV; and East Liverpool (Oakland), OH. She recounted the days when the Free Methodist denominational Quiz Finals were held at Camp Mack in Winona Lake, Indiana. Around 1957, Dolores worked at the Free Methodist Headquarters with Earnest Keasling, the Director of Free Methodist Youth Ministries, with a specific focus on the denominational youth magazine: "Youth in Action." Keasling was the one who originally started Free Methodist Bible Quizzing, and perhaps her association with him further encouraged her interest in and love for God's word. Not only did Dolores have the desire for the youth of her local church to learn God's word, but she also encouraged the other coaches and teams of the Pittsburgh Conference. For a period of about 4-5 years, she served as the Quiz Director for the Conference. One of the greatest blessings that Dolores brought to me was my wife. As a young adult, Janet (Crawford) Hopper attended the Hookstown Church and was invited to serve along with Howard and Dolores in ministering to the teens. The Bailes mentored Janet and trained her to be a leader. As time went on, they thought it would be good for her to be married to a minister, and knew of one (me) who was attending Asbury Theological Seminary in Wilmore, KY. Howard and Dolores (along with one of Dolores' former quizzers Evie Smith) encouraged this relationship through inviting me up to tournaments and providing housing in their home. Janet and I were married in 1984, and what a blessing Janet has been to me and my ministry. I thank God for the way Howard and Dolores Bailes invested in her. One of the greatest joys for Dolores was to be able to encourage her own children in studying God's word through coaching them in Bible Quizzing, and then many years later to coach her own grandchildren. She was delighted to be able to tell me: "Most of my grandchildren have quizzed....Quizzing is the best program....You can't do anything better." Dolores had a deep love for God and for His word. In a humble way, Dolores ended our conversation by telling me that one of the greatest blessings of Bible Quizzing was that "I really know the Bible, especially the New Testament." I appreciate the way that Debbie Teter, Dolores' daughter, has put it: "Mom lived her life studying the Book; now she gets to be with the Author."